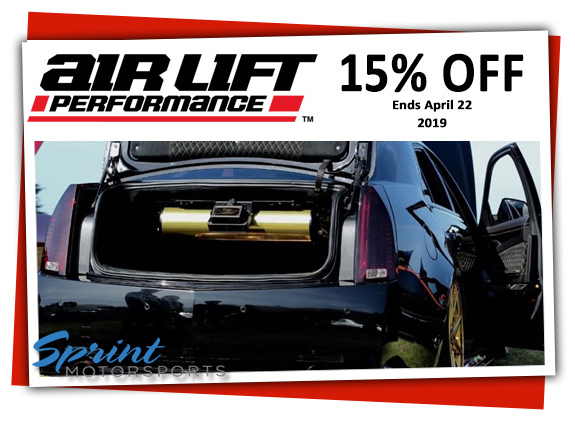 Sprint Motorsports, our brand #becausebags, and its parent company, Rennwerks Performance, is the recommended dealer and installer for Air Lift Performance Suspension Products. 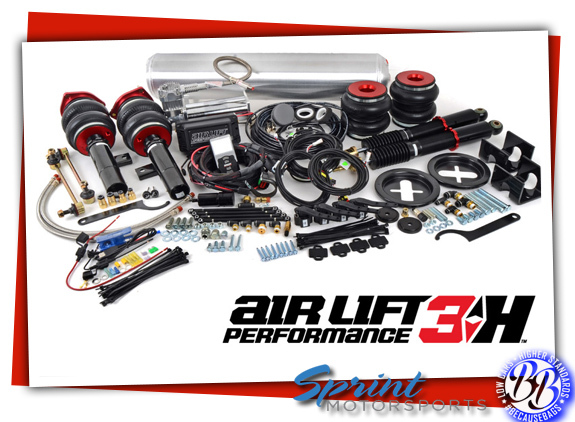 Air Lift Performance is the performance division of Air Lift Company. 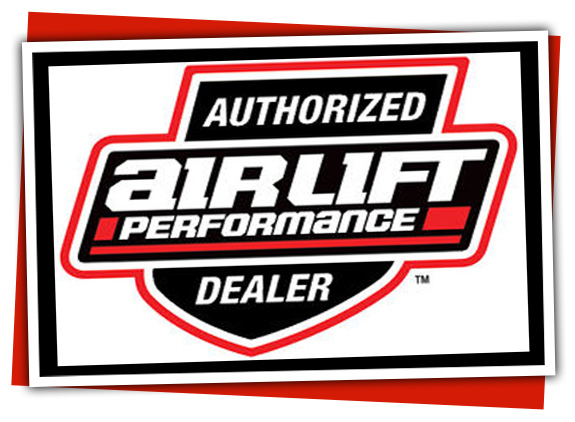 Air Lift produces complete air ride and air management systems for lowered and performance cars and trucks. Their bolt-on, direct-OEM-replacement kits are designed precisely for each individual chassis and with a commitment quality. They are engineered to fit, work, and last so that you may enjoy the benefits of having a lowered car that you can raise to avoid damage from curbs and steep driveways or have fun setting your car apart from those with static suspensions. 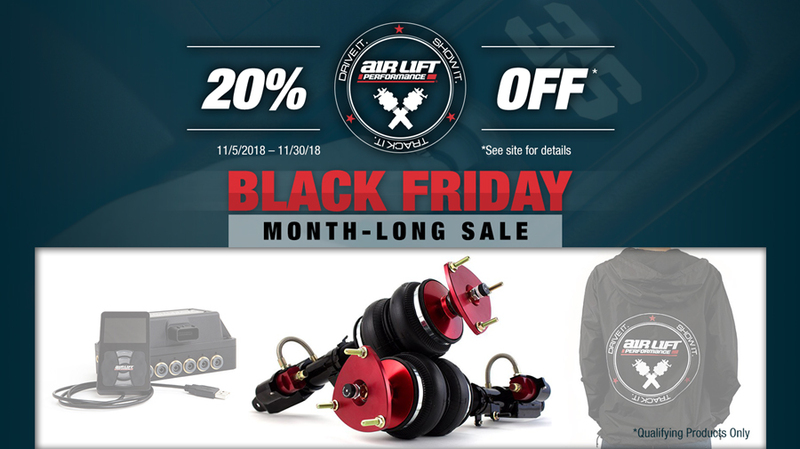 Air lift has gone to great lengths to support the market with universal air suspension products for hot rods, late model, and classic cars. The 3H air suspension management system by Air Lift is the ultimate in automated and computerized air system control. The system utilizes both height and pressure sensors to provide accurate handling, balance, and proper car alignments and geometry at any ride height. 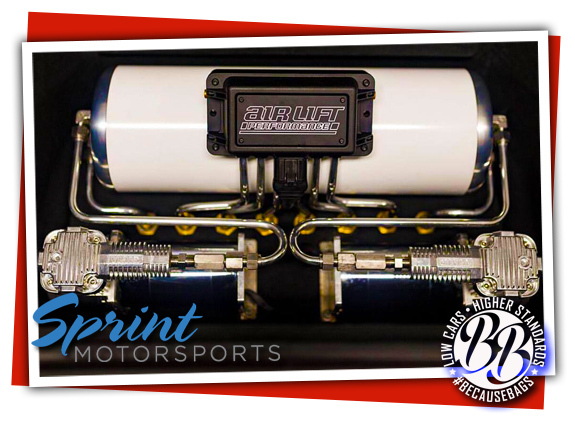 Sprint Motorsports specializes in quality performance parts and aftermarket upgrades for your Audi, BMW, Mercedes, Porsche, Ferrari, Lexus, and other Luxury and High Performance Vehicles. As genuine car enthusiasts, we pride ourselves in offering great customer service and a wide selection of quality high performance parts from top manufacturers at great prices. 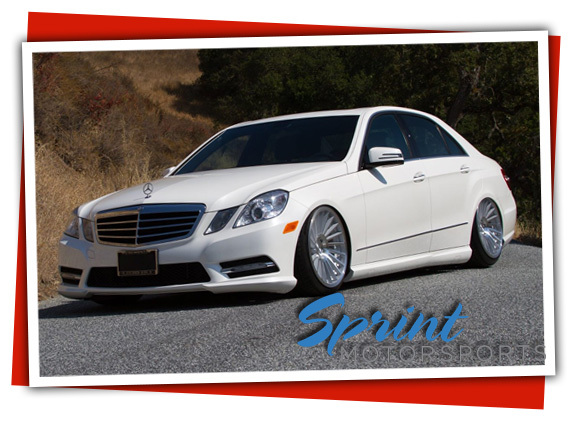 Whether you want more power and speed, some stance for show, or just a cool street driven ride, we are the “prolific automotive performance and repair shop” in San Jose and the San Francisco Bay Area. We provide performance upgrades and modifications from Intake Systems to Exhausts to complete engine builds and Software Tuning. We carry top aftermarket brands and parts such as AFE, Air Lift Performance, APR Tuned, AC Schnitzer, Hamann, Remus, Eisenmann, Borla, B&B, Meisterschaft, Vorsteiner, Neuspeed, etc… and much more. Don’t hesitate to give us a call if you have any questions.